Berlin’s conference for Merchant Payments Ecosystem 2017 took place in February and we made sure visitors found their way around with Indoor Navigation. Payments are not only a simple transaction of money anymore, they have turned into an integrated shopping experience. The most prominent buzzwords that describe where the payments industry is headed are IoT, Big Data, APIs and customer recognition. With changing customer behaviour and societal developments, the trend is unmistakably going towards frictionless payments through innovative tools like PSD2 (enabling payments via third parties like Facebook, Google etc.) and mobile payments to improve end user experience. Everything around merchant payments and latest trends in the industry was covered by the Merchant Payments Ecosystem 2017 conference. Our part in the event was to make sure all attendees were able to find their way around and to specific locations inside the 2,000 sqm venue. 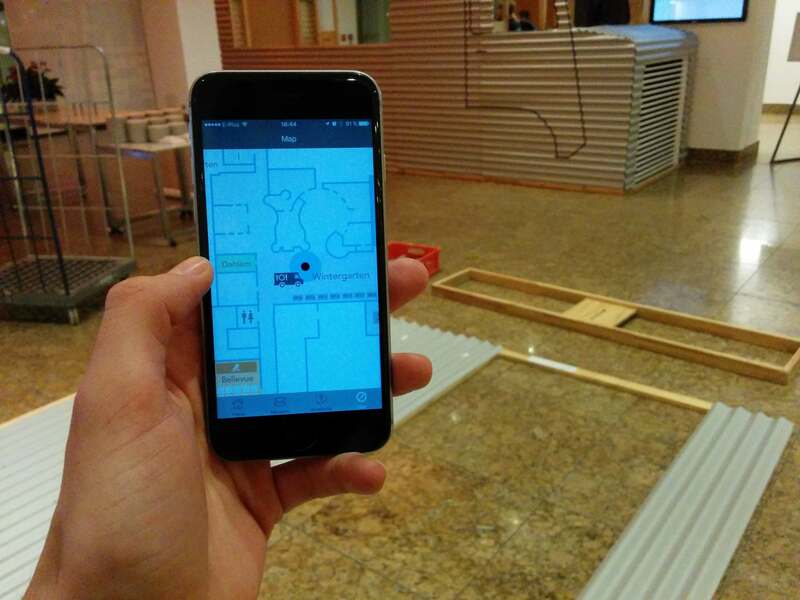 Therefore, 100 Beacons were installed indoors and a radio map created with our SLAM technology within 1 working day by 1 on-site engineer. The accuracy report below shows that most of the areas are blue, which indicate an accuracy of 2-3m and in some places even down to 1 meter. Allowing for effortless navigation at the event site, however, is not the only cool feature indoo.rs provides. Through the app, anonymous motion data is collected from the users and available for the event organizers. They can use that data to analyse motion patterns, dwell times, identify crowds etc., which can help them optimize the event venue, schedules or security measures next time. The event app was designed to perfectly match the needs of a conference. It includes information on all participants, a real-time voting system, notes and other useful features to get in touch with others and make the most of the conference. One of these is also a feature enabled by indoo.rs, which allows location sharing between participants, taking networking to a new level. The app is available for iOS only and was created and beautifully designed by Empiria.